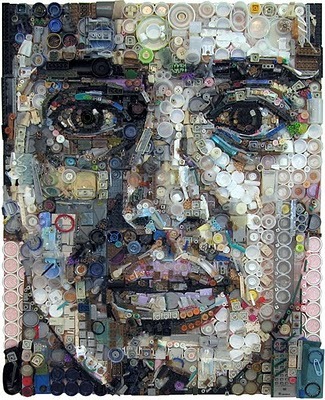 American artist Zac Freeman forms unique portraits out of all kinds of small and used materials. 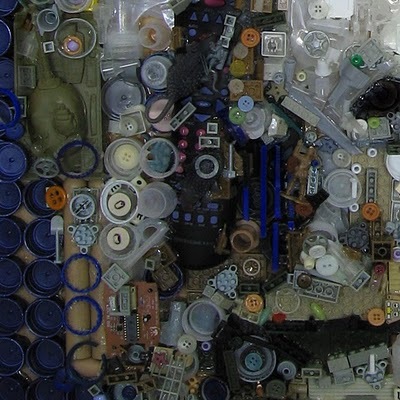 Each of his objects comes from scraps of trash that are leftover from the things that we regularly consume. 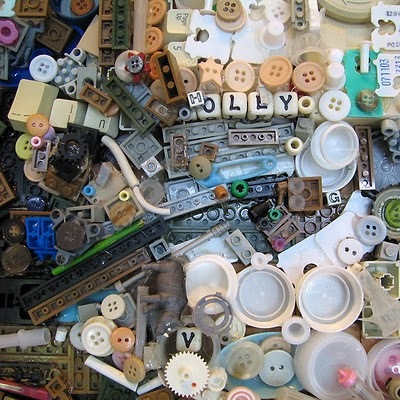 From colored buttons and plastic bottle caps to metal tabs from soda cans, Freeman puts all of the unused and unwanted objects to use in a fresh new way. 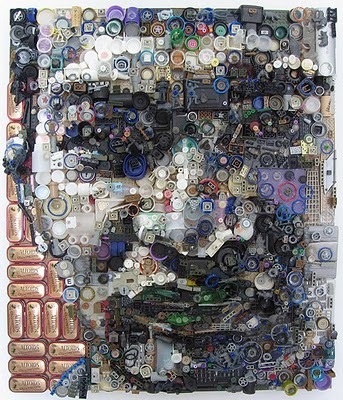 To build each portrait, Freeman glues the pieces together on a wooden canvas, compiling all of these unwanted pieces into a stunning representation of a person's face. 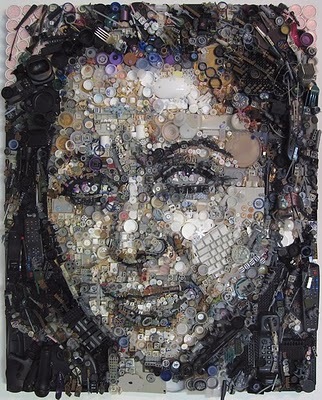 From up close, viewers can enjoy the unique significance of the individual pieces, while from a distance, the objects all blend together into one realistic portrait.Freeman uses actual garbage in his pieces because he says, "I feel the junk is more powerful being present. It is an actual thing to be reckoned with that existed in this time and place and carries energy in and of itself. The result is a time capsule of objects that reflects our culture." 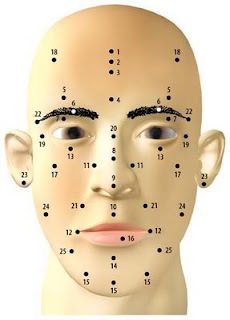 13 more images after the break.